Danial Burbar is an Associate Attorney at Shea Aiello, PLLC. Danial graduated from the University of Michigan-Flint in 2012, earning a Bachelor of Arts in Political Science. Following graduation, Danial earned his Juris Doctor from Western Michigan Thomas M. Cooley Law School in May of 2017. During law school, Danial focused his concentration on business transactions and corporate law. Danial excelled in secured and advanced transactions courses, enabling him to complete his major in business transactions at Cooley. Danial also received the certificate of Merit award in Intellectual property while at Cooley. 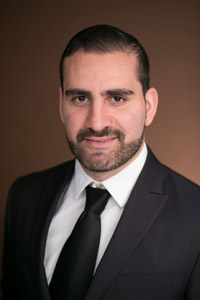 Danial was admitted to the State Bar of Michigan in February 2018 and is a member of the Genesee County Bar Association. Danial currently concentrates his practice on Estate Planning and Business Planning at Shea Aiello, PLLC. Danial helps clients achieve their Estate Planning goals by preparing and creating Wills, various types of Trusts, and Powers of Attorney documents. Danial also assists clients in their business ventures by creating business entity formation documents, bylaws, stock purchase agreements, and other legal business documents. Danial’s main goals are to provide competent service and to satisfy client’s goals. Outside of work, Danial enjoys spending time with family and friends, soccer, and viewing the latest movies and shows.